Viadux serves an ever increasing need for water systems globally. Viadux’s market leading pipes, fittings, valves, clamps and couplings provide critical solutions to municipal, commercial and industrial customers across a variety of markets throughout the Asia Pacific region. 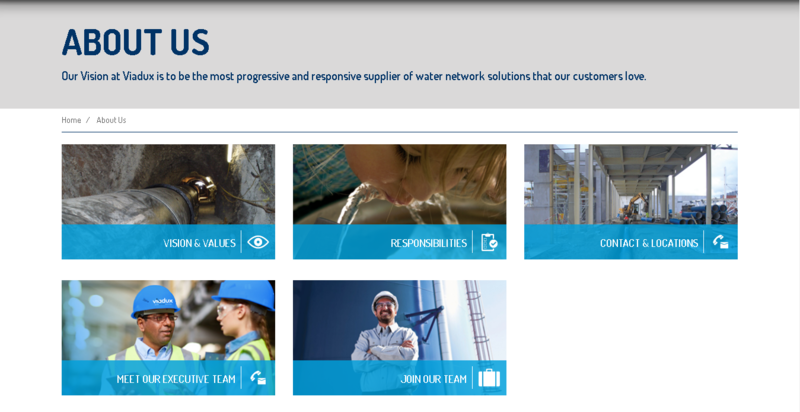 Their trusted brands have typified the very best in product innovation and service excellence for more than 100 years, leveraging the global scale and engineering expertise of our operations to deliver solutions for even the most challenging water applications. Viadux planned to have a website which is specially designed to accommodate their products and services. They considered that a well-built website will help them to build their brand awareness online. 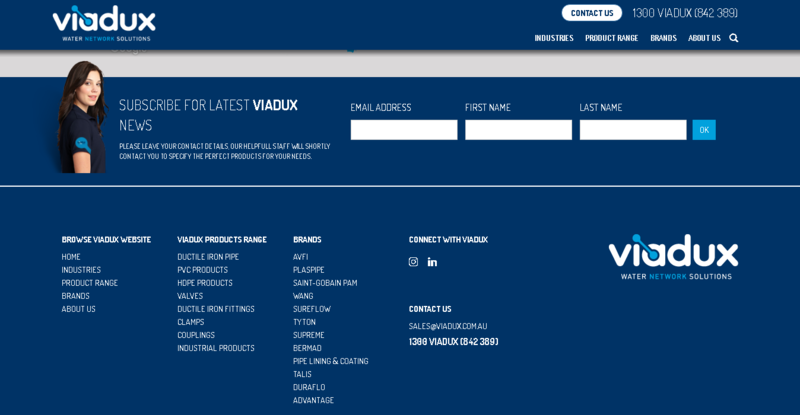 Therefore, Viadux appointed our web design Sydney team to design and develop their new website through a custom theme. Our job was to build a website that appears modern, sophisticated, completed with high-tech features but still easy to use. They also want a website that displays their stores properly, so customers can find their branches easily. The Website Marketing Group (TWMG) has designed and built the website to meet Viadux requirements. We have designed the website to focus on its brand awareness—displaying brand image that Viadux wants their customers to see. Viadux has a variety of procedures and services to choose, it is important for the clients to understand the services available and which options are best for them. We also added SEO friendly store locator and customised tools calculator to complement the user experience. 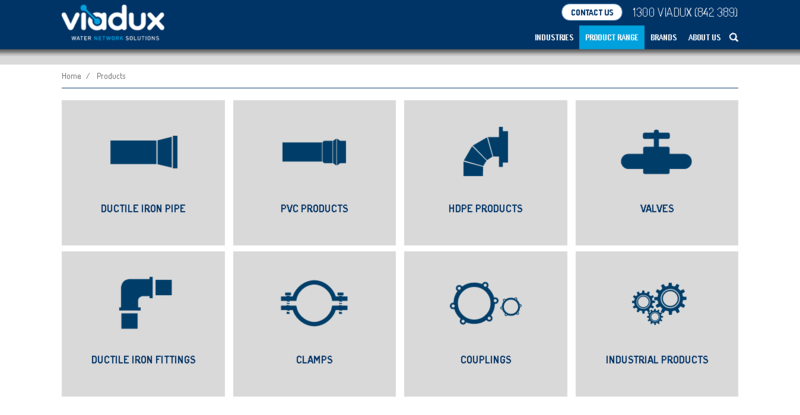 The content was categorised into main pages namely Industries, Products Range and Brands with subpages that explain more details about the topics. We implemented a minimum menu at the main page, so people can navigate easily while visiting the website. After a few weeks, the website finally went live. It is sophisticated and modern but still focuses on its user friendliness. The website also represents the brand image and display the products/services they offer neatly. We tried to provide informative and compelling content for the audience, whilst the CTAs deliver conversions. 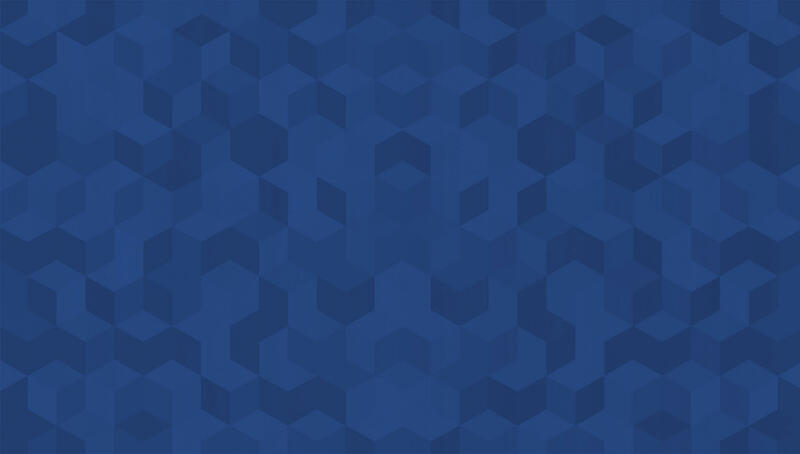 The core of the website is making product searching and selecting faster and easier, so people can browse through the website comfortably and hopefully find the products/services that fit them well. We are delighted to present to you the website of Viadux.